The Secret Powers of Time by Philip Zimbardo. P.S. Zimbardo was the led researcher behind the famous Standford Prison Experiment. Lessons from fashion’s free culture a TED talk by Johanna Blakely of Ready to Share. These are interesting ideas to ponder considering that our Canadian government is about to propose a major (and perhaps heavy-handed) restructuring of our copyright laws. Related: Terms & Conditions - A short video on Digital Rights Management. 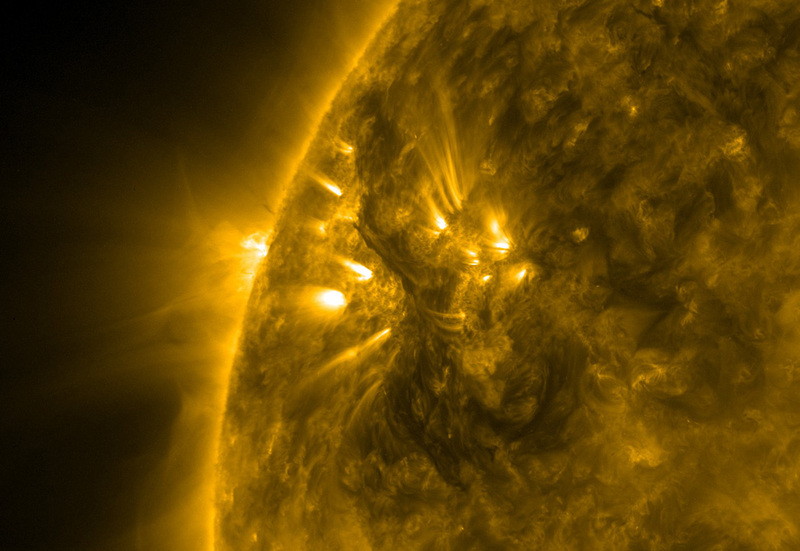 A dark solar filament seen across the surface of the sun. Related: Video of Large Eruptive Solar Prominence. Web 3.0 - A short documentary on the semantic web. Two days ago I released my first Ruby gem. In coding parlance gems are software libraries created to enhance the Ruby programming language. My gem is call glutton_lastfm. It’s a wrapper library for version 2.0 of the last.fm API. The source code and documentation is available on my github account. Distance myself from years of return-code function creation in favour of exceptions. The glutton_lastfm source-code is released unlicensed into the public domain. Jody and I went hiking on the Mantario trail last weekend. Nomic is a game in which changing the rules is a move. The Initial Set of rules does little more than regulate the rule-changing process.